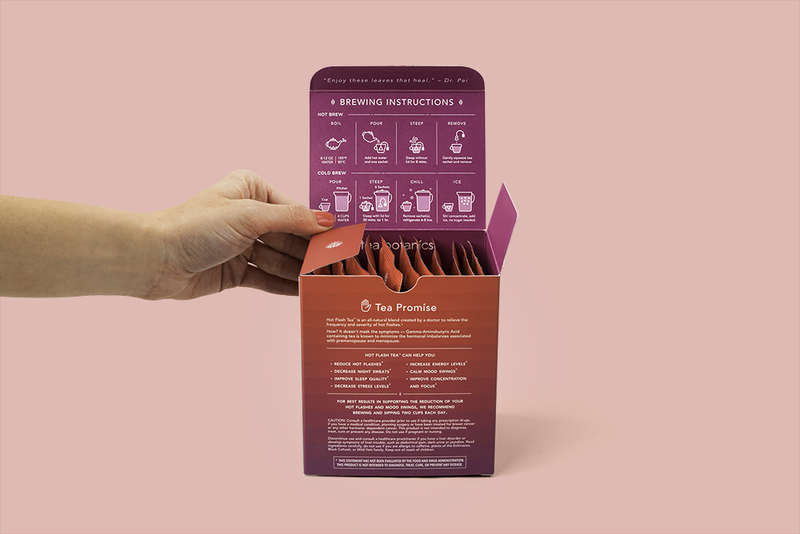 Tea Botanics was looking for a brand identity and package design to launch their first product in a line of medicinal teas. 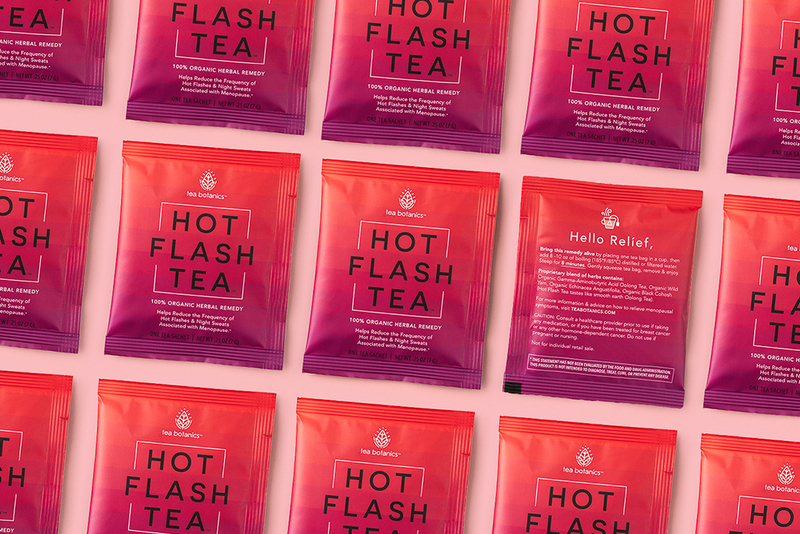 Since hot flashes are rarely talked about in the open, the goal was to develop a package design that did not shy away from the topic yet embolden and empowered the individual. Using both an energetic and soothing color, the step gradient shows the relieving transition encounter upon using the product.